Master Proliferator or Simple Front Company? Is North Korea a “master proliferator,” providing complete production facilities and extensive know-how for manufacturing weapons of mass destruction and their delivery systems to rogue regimes? Or is it a simple front company for passing along other country’s discarded, obsolete technology? If the latter is true, we might still have a few years left in which we can use today’s “supply-side” nonproliferation regimes to slow down and perhaps stop the spread of these dangerous weapons. If it turns out to be the former, their spread might continue unchecked. Since the dawn of the nuclear age, the developed world has always assumed that potential proliferators—for example Iran, Iraq (in the Saddam era), North Korea, Libya and Syria, —needed help to get dangerous technologies. That assumption drove the bargain underlying the Nuclear Nonproliferation Treaty (NPT): the developed world promised to assist countries with peaceful nuclear technologies if the recipients renounced nuclear weapons. While the NPT has proven very successful, the safeguards originally implemented in the treaty have not proven to be entirely satisfactory in the case of countries determined to get these weapons. While the treaty provided economic incentives for wavering states to remain on the right side of the law, many felt the agreement should be strengthened to ensure it was not abused. As a consequence, other regimes, such as the Nuclear Suppliers Group or the Missile Technology Control Regime (MTCR) were established by developed nations to prevent the sale of sensitive advanced technologies to worrisome nations. These regimes were formed at a time when most potential proliferators were dependent on Western technology. For instance, Saddam’s deputies signed contracts with Iraq’s major suppliers requiring that the industrial infrastructure bought for proscribed projects originated in Western Countries. Indeed, a contract for the Badr-2000—a missile that Egypt and Argentina sold to Iraq as the “equivalent” of the American-built Pershing II with a range of 1100 miles—specified exactly which Western countries were acceptable as suppliers. Today, precision engineering—the ability to fabricate sophisticated components machined to very demanding specifications—is spreading. This allows countries to machine metal parts that spin very fast and very close to other pieces of metal; the basic requirements for vital WMD technologies ranging from the ultracentrifuges needed to enrich uranium for bombs to turbo-pumps for long-range missiles, as well as important peaceful technologies, such as turbines for electrical generation. Has North Korea passed a threshold that allows Pyongyang to manufacture all sorts of sensitive technologies and pass that knowledge to others who might abuse it? Ideally, we would like to investigate the level of indigenous capabilities for nuclear-related technologies but most countries keep their programs secret. Related missile technology, on the other hand, is much easier to quantify. In part, this is because the end result of many missile launches is visible to most people on the Earth; especially if a country is trying to orbit a satellite. It is also due to the natural pride countries feel for their space-related activities. Even a highly secretive state like North Korea broadcast videos of its latest satellite launch attempt, providing a treasure trove of technical detail about its launch vehicles. Therefore these weapons are a useful surrogate for watching the proliferation of nuclear related know-how and infrastructure. Missiles are also interesting in their own right since they are needed for delivering nuclear weapons over long distances. North Korea got its start in the mid-1970s when it signed a major military assistance pact with China that included the transfer of missile technology and training of personnel. The deal was part of a Chinese attempt to draw the DPRK away from the Soviet Union by starting a joint development program to produce a liquid-fueled tactical ballistic missile. Just how much know-how the North Koreans acquired from this program is unclear since it quickly became involved in the internal struggle associated with the Cultural Revolution and was canceled the next year. But even after the program was cancelled, North Korea was still able to send students to China for training in the design and production of rocket engines and missile airframes as well as in the metallurgy essential for both. Such training would be critical in getting a future missile production program off the ground but it did not assure success. Pyongyang also turned to Egypt to collaborate on the reverse engineering of the ubiquitous liquid-fueled, Soviet-produced SCUD-B missile. This reflects the difficulty a country like North Korea would have finding skilled technicians to carefully measure and reproduce every component of a complex piece of machinery—the essence of reverse engineering—that even the missiles designed in the 1950s represented. For North Korea, collaboration with Egypt must have seemed like one way of sharing, if not diminishing, the risk of failure. After all, Iraq failed to reverse engineer SCUD rocket engines despite a concerted effort starting in the 1980s through the 2003 invasion. By 1980, a limited number of SCUD missiles were imported from Egypt as part of the reverse engineering collaboration. All were apparently taken apart, measured, and individual components carefully examined to determine their specifications for reproduction. North Korea reportedly managed to manufacture a small number of “exact” copies of these missiles by 1984. [ii] At about this same time, Iran entered the picture when its emissaries—including then-Prime Minister Husayn Mosavi, now a leader of the opposition—visited Pyongyang to discuss, among other matters, cooperation on the reverse engineered SCUD, known as the Hwasong 5 missile. The test flights of North Korea’s SCUD-B knock-off, the Hwasong 5, set a perplexing pattern for all of its later missile development programs. The Hwasong 5 had a total of only three known flight tests. [iii] As every missile engineer knows, any development program requires far more than three tests to prove that a new delivery system will work. Iraq, for instance, conducted ten test launches simply to extend the size of the propellant tanks on SCUD missiles that were purchased from the Soviet Union. [iv] After declaring a successful development program for the Hwasong 5, North Korea proceeded to modify it for an even longer range with a new short launch program totaling only two tests (compared to Iraq’s ten flight tests to achieve the same goal). The missile was then put into production with 600 to 1,000 models of the Hwasong 5 and its longer-range variant manufactured by the end of 1999. This perplexing pattern of early deployment after very short test flight programs continued with North Korea’s development of the even longer-range Nodong missile. In May 1990, U.S. spy satellites first observed a missile with a diameter larger than a SCUD—the Nodong—on a launch pad situated along the North East coast of the DPRK. The flight test—if it occurred at all—was a failure since early warning satellites did not detect the launch and scorch marks were later observed on the launch pad, presumably from a catastrophic flight test failure. Three years later, the Nodong was launched along with three Hwasong/SCUD missiles. Even this test must have provided limited help since no telemetry—the missile’s vital statistics such as acceleration, rate of fuel consumption, combustion chamber temperature—was radioed back to the North. Its absence indicates just how little value was placed on flight tests. With no further launches, North Korea then sold either complete Nodong missiles or entire production lines (in the case of Iran) to Syria, Iran, and Pakistan. These countries seem to have continued the missile’s development by conducting their own test programs. Did North Korea also participate in or benefit from these flight tests? If it did, the DPRK may have been a more equal partner with these countries than was previously believed. If not, we are still left with the question of how could North Korea design and successfully build a new missile with so few test flights? One experienced engineer, analyst, and former United Nations weapons inspector, Robert Schmucker, has long believed that short flight test programs are a dead give away for large-scale foreign assistance. In his view, North Korea is incapable of designing, much less developing, new missiles. But with help from whom? Perhaps, Schmucker theorizes, Pyongyang’s missiles are actually made in a different country such as Russia and only shipped to the North for resale. Or perhaps complete, even obsolete production lines were sent to the North? The next steps in North Korea’s missile program provide additional clues to answering this important question. In August 1998, North Korea attempted but failed to launch a satellite on top of the Taepodong 1 missile. While analysts agree that the missile consisted of three stages, they disagree on the design of each stage. Many believe—probably because they cannot conceive that the North would try to test anything but stages it had previously launched—that a Nodong was used as the first stage, a Hwasong 5 or 6 as the second stage, and a small solid propellant rocket to provide the final push to put the satellite into orbit as the third stage. Yet, based on a detailed analysis, Schmucker concludes that North Korea used missiles that had never been launched before for the first two stages, a “Nodong-type” missile but with a higher thrust engine and carrying more fuel for the first stage and the upper stage of the Soviet SA-5 anti-aircraft missile for the second. Regardless of which school of thought is right, the Taepodong 1 launch was the first time North Korea attempted to test a large ballistic missile with more than one stage, a major milestone in any development program. If Schmucker is right, Pyongyang’s launch also represented a breath-taking leap of faith. If that is, the North Koreans were in charge of the development program. Proliferators like North Korea must overcome a number of challenging problems in building a two-stage missile. Separating rocket stages in flight is difficult even with experience in the operation of both stages as individual rockets. And flying a first stage with a new engine and a longer—potentially weaker—airframe at the same time you are trying to add a second stage is simply asking for trouble. On the other hand, the risk of failure would be reduced considerably if that engine design had been flown before, even by a different country, and experienced technicians were present at the Taepodong launch. Schmucker believes the most likely explanation is that the North received help in missile design and production, or simply received complete components from Russian-nationals. He does not believe the Russian government sanctioned this help. While the next North Korean attempt to launch a new two-stage rocket in July 2006 could have provided valuable clues in solving this mystery, publicly available information remains extremely limited. The Taepodong 2 seems to have caused much greater concern among Western intelligence analysts than the Taepodong 1, perhaps indicating that it was a much larger missile, but no pictures of the rocket were released by either the North Koreans or Western sources. [v] Such pictures would certainly help explain why the missile failed some 43 seconds after launch but most importantly they might provide important clues about the development path being followed. 2009 launch of Unha-2 as broadcast on KBS2 news. The DPRK waited until April 2009 for its next attempt to launch a satellite on top of a rocket with three stages called the Unha-2. This time there was plenty of information available on the rocket. Commercial satellites with high-resolution cameras onboard showed the missile on its launch pad several days before launch. (One very lucky satellite actually photographed the launch. 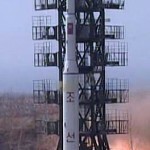 )[vi] North Korea also provided information on where the first two stages were expected to splash down in the ocean as a warning to mariners and aircraft as well as actual video of the launch itself. Remarkably, the world had seen the Unha-2’s third stage before. Careful analysis showed, that the third stage matched the last stage of the Iranian satellite launcher, the Safir, inch-for-inch. The Iranians first tested the two-stage rocket in August 2008, nearly eight months before the Unha-2. Because the Safir’s second stage failed to separate from its carrier stage during this test, Iran began a systematic program of diagnosing and correcting the problem. First, it launched a small, unguided rocket (often called a sounding rocket) to investigate staging phenomena. Then, after making some changes, Iran successfully launched the Safir in February 2009, putting a satellite into orbit. It became clear after the Unha-2 launch, and particularly after the revelation that it shared a common stage with the Iranian satellite launcher, that more information on the July 2006 Taepodong 2 launch would have provided valuable clues in explaining missile development in North Korea. Did the North attempt to launch this common stage in 2006 and then export it to Iran? Or were the roles of missile technology exporter and importer reversed with North Korea purchasing the technology from Iran? 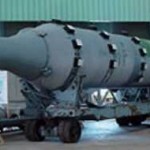 Suppose for a moment that North Korea imported the technology for the Unha-2’s last stage from Iran. If it did, Pyongyang obviously did not also import the solution since the stage failed to separate. If, on the other hand, the Taepodong 2 attempted to use this stage on 2006 and then exported it to Iran, North Korea still failed to solve the problem of staging in its own design. In either case, Pyongyang seemed to be incompetent in solving design problems. Analysis of the North Korean and Iranian launchers also reveals other important clues in understanding both countries’ technological capabilities. Iran has released detailed photographs and videos of components for the stage that was tested on the ground (in what are known as static tests) and their manufacturing process. These images indicate that this stage, which both Iran and North Korea use as the final stage of their space launch vehicles, relies on more powerful propellants as well as more sophisticated turbo-pumps and combustion chambers. In fact, not only did the Iranian and North Korean space launch vehicles share a common stage but these engines, while known to be manufactured in Iran and presumably also in North Korea, are the same designs used by Russia on an old submarine-launched ballistic missile, the (range) SS-N-6, as its vernier engines. [vii] The SS-N-6 was first deployed during the 1960s and was carried on submarines designed to attack the United States. Russian SS-N-6 submarine-launched ballistic missile. Even more startling, further analysis of photographs together with launch simulations shows that the second stage of the Unha-2 is a complete SS-N-6 sea-launched ballistic missile. Thus, the Unha-2’s second stage is a complete SS-N-6 while its third stage just uses the SS-N-6’s vernier engines in a new airframe shared with Iran’s Safir. Since Pyongyang has not released as much information on its production capabilities as Iran, it is not clear whether or not the North can actually manufacture the larger engines or the airframe this stage uses. It is possible, for example, that Pyongyang has simply imported complete SS-N-6 missiles and is retrofitting them to be used for the Unha-2. However, it would be difficult for Russians to export whole missiles to the North without the involvement of their government. As a result, the most likely conclusion is that North Korea bought production lines from Russia, not just to be used for the Unha-2 but for a variety of missiles. It is much easier to reverse engineer a production line than a missile by simply going out and buying the machines to manufacture it if the rocket’s blueprints, specifications and a summary of production procedures have already been provided. Moreover, armed with this information, it would be much easier for the North to resell the technology to other countries. The conclusion that North Korea purchased and reverse-engineered production lines for resale is also consistent with its missile development program. Rather than systematically solving problems like Iran, the North tried a wholly new design in 2006 (using two stages) after the failure of the three-stage Taepodong 1 and then, after that test failed, another new design, the three stage Unha-2. In short, Pyongyang tried three different designs resulting in three different failures. Reinforcing this conclusion are recently leaked secret Iranian memos that detail North Korean (and Chinese) involvement in its missile program. These memos show that the North Koreans, after selling Iran a complete production plant for the Nodong missile with an engine based on but more powerful than the SCUD, and the Chinese were present at every significant milestone in the Iranian development effort. They also show that Iran decided not to seek help from these “partners” every time it ran into problems. Instead, the Iranians tried to solve these problems themselves. Requests for foreign help were made only on a case-by-case basis after the central authority decided that not to ask for help would significantly slow down the entire program. For example, when Iran encountered stability problems caused by replacing the simple, conical warhead on the imported Nodong with a more sophisticated design, the solution—moving the fuel tank forward of the oxidizer tank and splitting it into two—clearly originated in Russia which had used the same approach much earlier. Whether the North Koreans played a role in this process is unclear but they may have acted as a go-between by transmitting the know-how from more knowledgeable partners while picking up a middleman’s fee. Or they may have sold the Iranians the answer based on information acquired from the Russians much earlier. The balance of evidence suggests that North Korea is not capable and—perhaps more importantly—appears to have no desire to make the sustained, systematic effort to solve development problems on its own. As a result, DPRK scientists and engineers probably will not acquire the skills and depth of knowledge necessary to master independent missile design and production. Because of this, the North may continue to look abroad for major assistance in developing missiles for the foreseeable future. Whether or not Pyongyang continues to seek such help from Russians or turns to a newly developing missile power like Iran remains to be seen. Iran’s successful launch of a satellite, after overcoming some of the same problems plaguing North Korea, indicates that it has not yet assumed that role although it might in the future. The assistance Iran could supply, however, would probably be limited to supplying newly acquired missile expertise since it is still dependent on importing sophisticated components or even computer-controlled milling machines and other manufacturing equipment. To return to the original question posed in this essay—is North Korea a master proliferator or a simple front company? Evidence suggests that North Korea is a simple front company for more sophisticated foreign suppliers, reselling technology which it has copied to the most superficial details. This may give supply-side nonproliferation regimes some breathing space to work in the coming years. Unfortunately, industries critical to support the production of missiles are, in general, even more “dual-use”—meaning the same machines can be used for peaceful civilian purposes—than those that made up the missile production lines North Korea sold to Iran. In fact, these same supporting technologies are the key to economic modernization and prosperity for many developing countries that have no interest in weapons of mass destruction or long-range missiles. As a result, the developed nations will be hard pressed to stop or even significantly regulate this trade. And North Korea, if it is interested, will have many opportunities to acquire this equipment. Another interesting hypothesis that may be supported by available information on North Korea’s missile program is its lack of a systematic approach to large-scale engineering problems, which may indicate a serious problem with the culture inside the responsible organizations. Such problems are often hard to overcome since the personnel responsible for failures are usually entrenched in the organizations. Moreover, these problems may reflect the difficulties associated with admitting failure to higher-ups. Unfortunately, it is impossible to answer such questions definitively based solely on a technical evaluation of missile test launches in the North Korean program. Regardless of their fundamental cause, it is intriguing to speculate that such ingrained problems may plague North Korea’s other major development programs, such as its effort to produce highly enriched uranium (HEU). Pyongyang is known to have had dealings with the smuggling network led by A.Q. Khan, the father of Pakistan’s nuclear bomb, which seem to have focused on the acquisition of technology—centrifuges—to produce HEU. If Khan sold the same production technology to the North that he sold to Iran, we could expect Pyongyang’s scientists to have had a difficult time getting the finicky “P-1” centrifuges to work. [viii] Pakistan itself may have had a hard time getting large cascades of these machines to work efficiently and only succeeded after a considerable development program. The same appears to be the case with Iran’s large numbers of “P-1” centrifuges although the efficiency of its enrichment facilities appears to still be less than half of Pakistan even after three years of operational experience. If the North received the same technology its inability to solve complicated engineering problems could help explain why Pyongyang has not been able to get a large-scale program off the ground since Khan first made contact with Pyongyang during the 1990s. [i] Forden, Geoffrey, “How the World’s Most Underdeveloped Nations Get the World’s Most Dangerous Weapons,” Society for the History of Technology, 2007. http://mit.edu/stgs/pdfs/TandC_essay_on_WMD.pdf. [ii] Bermudez, Joseph S., “A History of Ballistic Missile Development in the DPRK,” Occasional Paper No. 2, Monterey Institute of International Studies Center for Nonproliferation Studies, 1999. http://cns.miis.edu/opapers/op2/op2.pdf. [iii] Schmucker, Robert H., “3rd World Missile Development – A New Assessment Based on UNSCOM Field Experience and Data Evaluation.” Paper presented at the 12th Multinational Conference on Theater Missile Defense Responding to an Escalating Threat, Edinburgh, Scotland, June 1-4, 1999. totalwonkerr.com/file_download/25/Schmucker_3rd_World_Missile.pdf. [iv] The Falcon-1, a space launch vehicle developed with private funds in the US, might be an exception to this rule. (http://en.wikipedia.org/wiki/Falcon_1) It had only four flight tests—three were failures—before NASA accepted it as a resupply vehicle for the International Space Station. However, its designers were all veteran rocket engineers with experience from government funded development programs and individual components were manufactured at experienced machine shops. Nevertheless, many analysts have questioned NASA’s judgment for approving this launcher exactly because of this lack of successful test flight experience. [v] Carter, Ashton B. and William J. Perry, “If Necessary, Strike and Destroy, North Korea Cannot Be Allowed to Test This Missile.” Washington Post, June 29, 2006, p. A29. [vi] “DPRK: U’nha-2 Powered Trajectory,” April 20, 2009. http://www.armscontrolwonk.com/2262/dprk-unha-2-powered-trajectory. [vii] Vernier engines are small—relative to the missile’s main engines—engines that are mounted on gimbals and can direct over a wide range of angles. They are used to control the direction of flight of the missile. [viii] Albright, David and Christina Walrond, “Iran’s Gas Centrifuge Program: Taking Stock,” ISIS Report, Institute for Science and International Security, February 11, 2010. http://www.isis-online.org/uploads/isis-reports/documents/Natanz_Operation_11Feb2010.pdf. Recommended citation: Forden, Geoffrey, “Master Proliferator or Simple Front Company?” 38 North, Washington, D.C.: U.S.-Korea Institute at SAIS, Johns Hopkins University, May 1, 2010. Online at: www.38north.org/?p=551.